Wight Shipyard Co has delivered its latest vessel to Scottish tourism operator Loch Ness by Jacobite. 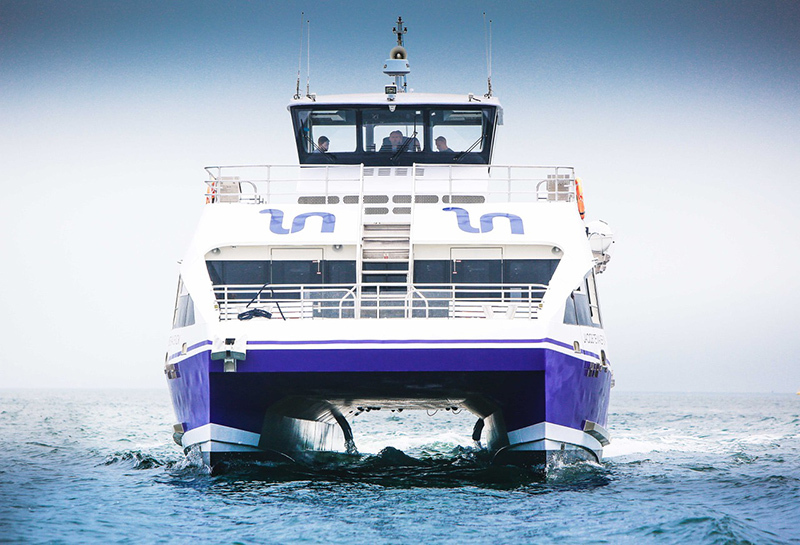 The new 20m 200-passenger catamaran JACOBITE MAVERICK is joining the company’s fleet sailing between Dochgarroch, just outside Inverness, Clansman Harbour and the historic ruins of Urquhart Castle. Tirrenia has chartered CLdN’s ro-ro SEVERINE for more freight capacity on the route to Malta, during summer. The vessel will be marketed by both Tirrenia and GNV. A former Japanese ro-pax, ASTERION II will start het first sailing for ANEK Lines on 21 June, sailing from Patras to Venice. Ferry veteran LATO will finally not sail for SeaJets. The ship has arrived in Aliaga for scrap, under the name of TALATON. SUPERFAST XII has arrived in Civitavecchia, retaining her red livery, but with ‘Grimaldi Lines’ on the hull instead of ‘Superfast Ferries’. She has been renamed CRUISE AUSONIA. She was part of the Hellenic Seaways deal between Attica and Grimaldi.